A spectacular amalgamation of of imagination and literature. A truly tremendous story that describes the urge of survival of a boy against all odds, his only companion being his hatchet. It conveys a message that we humans are too a part of nature and should never forget this fact. i read this book and i was spellbound. 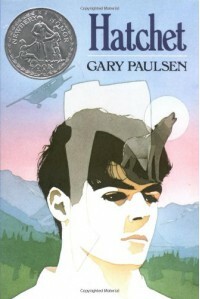 Gary Paulsen has justified the our very existence in nature through this book.